Look what I did on Sunday all by myself!! I went over to Big Lots (do you have one of those where you live?) and got 4 boxes of these clear globe patio lights. 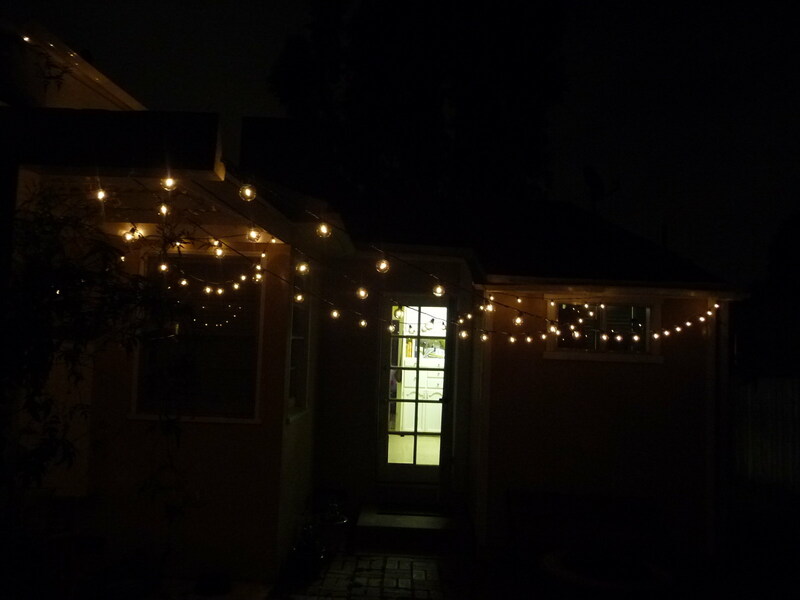 Then, I got out a ladder – yes, I actually used a ladder which makes this a very big deal – and a staple gun – bigger deal – and hung up all the lights by myself while my husband was watching the Laker game with his friends. I’m pretty proud of myself. 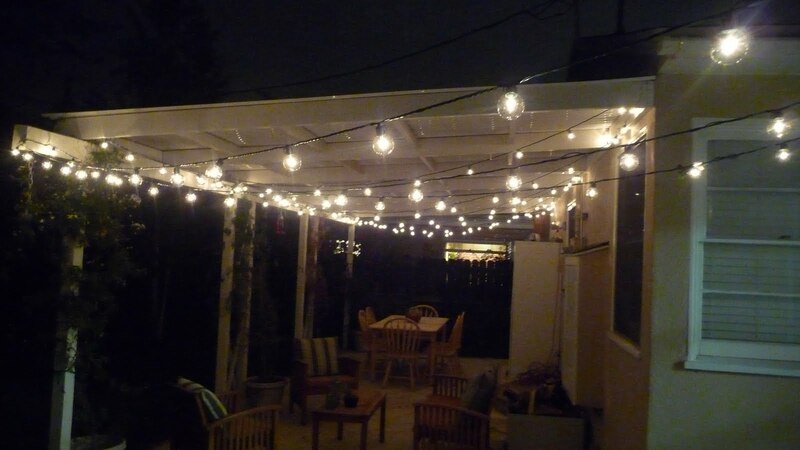 I really wanted lights like this hanging over the tables at our wedding reception, but it didn’t work out. I’m so happy I get to have them on our very own back patio and we can enjoy them every night! So cute!! 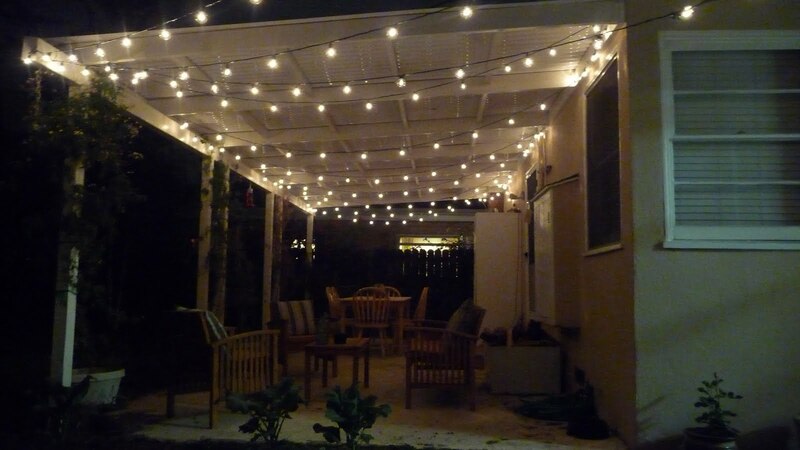 I definitely want to do something like this in our backyard.